These are LIMITED quantities. PLEASE POLICE YOURSELF ! "The Disney 2013 Frozen Elsa & Anna Doll set arrived promptly and in excellent condition. The arrival condition is important as I also received a different doll from another buyer a day before that was not wrapped in the box, and therefore, the doll box was dented and damaged. I am very pleased with this seller as well as his careful attention to shipping. Other sellers need to be reminded to wrap/pad the doll boxes before shipment into another box." "As a doll collector, I am very particular in how my dolls arrive in the mail largely because I do not take them out of their boxes. They are displayed with the backgrounds and accessories in pristine condition. My purchases with nascarnbroncosfans has been outstanding. I couldn't be more pleased with the care taken in packaging them up to ship as I am an international customer. Communication was excellent and I would recommend this seller to any serious collector wanting quality service. Thanks once again guys!" I've worked with this seller for the last three years getting SDCC exclusive Monster High dolls. I can attest that he works his hardest to provide to quality service at an extremely reasonable price. Every year my dolls have come home to me in perfect condition. I intend to only buy my SDCC exclusives from him and couldn't recommend his services any more highly! I HAVE NONE IN HAND. ONLY Limited dolls exist!! - PLEASE POLICE YOURSELF with quantities. Paypal buttons for EACH doll or the SET are on the next pages (links below). Welcome: Please read everything carefully - DO NOT RUSH THROUGH THIS. You have a line spot already!! These will NOT be available "IN HAND" UNTIL July 25th, 2016 and will ship after my receiving them. For International Shipping please note: Priority mail IS your ONLY option. USA shipping service WILL vary! Monster High and Ever After High Dolls are priced at regular stand alone purchase + shipping. Utah Disney - Pixar "Cars" Club, West Valley, Utah, U.S.A. 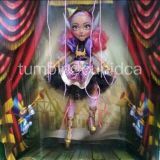 This page is for CLOSED PRIVATE PRE-Sale of SDCC 2016 Exclusive Monster High & Ever After High Doll sales. You can buy with confidence since I am a long time ebayer and SDCC buyer / seller. You can purchase directly below. PLEASE MONITOR YOURSELF with your SAME COUNT as LAST YEAR. 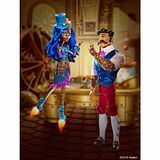 ​$15.00 trip fee on each doll will not be refunded period ! !